Fawad Khan is the biggest pride for Pakistan. He is dashing and hot favorite among his fans in Pakistan and also India. 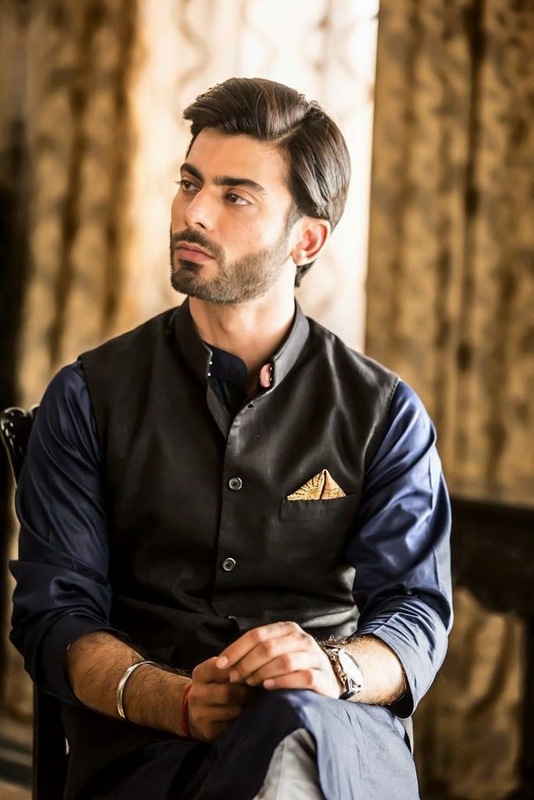 Fawad Khan has infatuated hearts of his fans, when he went to India for his first movie Khobsoorat. As I ever see Fawad Khan, I can say that for him that he has skills to get approval and praise from his fans and leading movie directors in India and Pakistan. He is renowned as Khobsoorat Khan due to his charming personality. Nowadays, his one of most popular drama serials Zindagi gulzar hai is being on air on India’s Zee Zindagi channel. They announced to take selfie with Fawad Khan on screen and post those selfies on channel’s Facebook and twitter pages. Channel also announced that they will provide an Ipad Mini to contest's winner. Zindagi Gulzar hai is being on air at 7:10pm IST in India. I would say for this contest that his fans must be excited due to this announcement. Most of the fans are girls who love Fawad Khan madly and will surely take part in it. After few minutes of the announcement Fawad's fans were very excited and posted many selfies with fawad on screen. Fawad's fans had fun during that activity. I can bet that most selfies must be posted by girls with background. This activity is a sign of sky rocketing popularity and praise for Fawad among his fans. This contest is not just a chance to win Mini iPad but also a chance to win Fawad's heart. Fawad's fans that could not have access to television, they found other channels to participate in the contest. The contest was all about expressing love and likeness of Fawad's fans. Now days, Fawad Khan is the most popular among Indian fans and this love and praise shows that Fawad will be dominating over his fans heart in India just like other Khans.